Bharti Airtel has announced the commercial launch of its 4G services in Mandi, Himachal Pradesh. “As customers in India show an increasing propensity for consuming data services, we at Airtel are excited to take the lead in introducing the market to the power of blazing 4G speeds. With the help of the feedback received from the beta launches, we have now built India’s first commercial 4G network. Today, as we launch Airtel 4G for our customers in Mandi, will be uniquely positioned for a superlative 4G experience. We are committed to building a world class 4G network in the region,” said Manu Sood, Hub CEO – Upper North, Bharti Airtel. The customers who are interested can try the speed of the zone at the exclusive demonstration zones and kiosks installed at Airtel store, Plot no 2/3 Chaman Commercial Complex, Seri Bazar, Mandi. 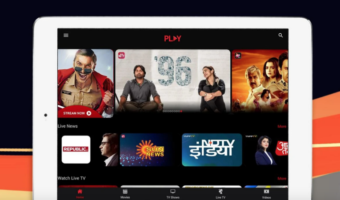 The customers can enjoy ‘Wynk Movies’, the mobile app that is a window to thousands of movies and other popular videos. Additionally, customers can leverage a host of strategic initiatives announced by Airtel as part of its national 4G rollout. The 4G packs starts at INR 22. The ‘Infinity Plans’ begins at INR 999. 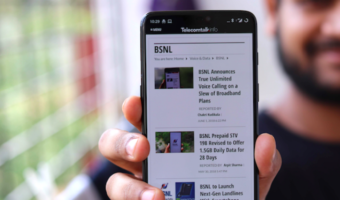 These Infinity Plans offer unlimited voice calls on mobile (first time in India) along with data benefits and access to ‘Wynk Movies’, ‘Wynk Games’ and ‘Wynk Music’. For every prepaid 4G SIM swap, Airtel offers six months of unlimited music streaming and downloads on Wynk Music. They can also avail five free movies per month for six months on the Eros Now channel of ‘Wynk Movies’. The customer SMS SIM <20-digit SIM Number> to 121 from his/her Airtel mobile. The customers would get home delivery of SIMs. For details, visit airtel.in/4g/sim-swap. They can also walk into the nearby Airtel store to swap to 4G. Besides, Airtel has announced Flexpage, an automated technology that enable the customer to track his data usage. They can also upgrade their plans when needed. They can also upgrade their plans when needed. Airtel has formed an alliance with Flipkart, thereby the customers can choose from a range of devices delivered with 4G SIM cards. Samsung, Xiaomi, Motorola, Lenovo, Asus and Huawei are the brands available with this offer.